Art is the window to the soul. For this very reason it is of great importance that the children understand how to go about making works of art. They draw a variety of things from the everyday to monthly projects with various themes to help the children develop their ability to creatively express themselves . 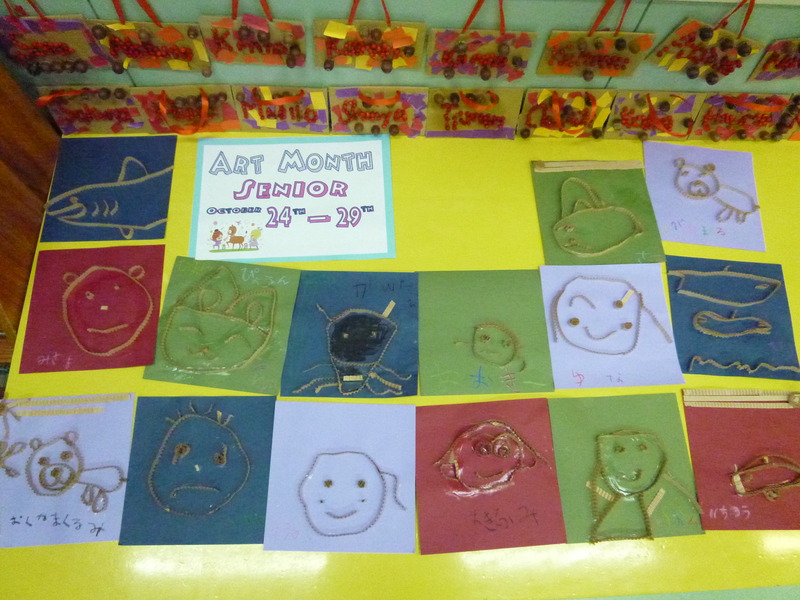 With circles, straight lines, dots and other simple shapes, the children enjoy drawing people and animals. They fold triangles and squares using origami paper, learn to cut shapes with scissors, and make a variety of shapes with clay. In crayon, the children draw things they have seen, express feelings in images, and use shapes to build up images. They also make more complicated origami. 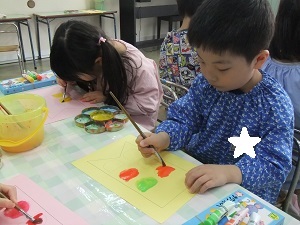 The children draw pictures about the things they experience at the kindergarten. They explore a range of techniques for creating images, including woodcuts, scratches and more, to express themselves.